Psychological Dream Meaning: Hair often symbolises vanity. Long hair may signify virility or male sexuality. Dreams of going bald may indicate fears about loss of self-esteem or, according to Freud, fear of castration and impotency. Dreams about losing hair can also express your worries about getting older. Similarly, a strong beard can stand for vitality, while a white one can signify age or wisdom. To dream of having your haircut may indicate that you are, like Samson, experiencing a loss of strength. You may feel that someone is trying to censor you. To shave off the hair on the head symbolises renunciation of the earthly life in order to seek spiritual truth. If your hair is being styled or set then your dream is highlighting your worries about your self-image. Hair blown by the wind or flowing free indicates you may need the freedom to express uninhibited feelings. You want to ‘let your hair down’ and ‘hang loose’. Psychological Dream Meaning: A hall is the centre from which we can access the whole house. To dream of entering a hall may therefore represent the beginning of your adventure in self-exploration. Psychological Dream Meaning: A Freudian psychologist will interpret the hammering of a nail as a symbol for the sexual act. The hammer is therefore of powerful male symbol of virility, power and strength. Alternatively, it may also represent the way you are dealing with your situation at the moment. Are you being too forceful? On the other hand, perhaps you are trying to ‘hammer the message home’. Psychological Dream Meaning: Hands can represent dexterity, artistic ability or psychological skills. We also use them to express ourselves and as extensions of our personality. A fist may represent anger or passion, folded hands can represent acceptance, joined hands can represent affection and an upheld hand symbolises a blessing. 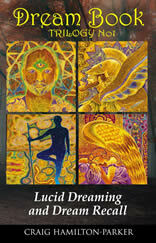 Consider the gesture of the hands in your dream for it reveals the nature of the sentiments you are trying to express. Psychological Dream Meaning: A harbour is a sanctuary from the stormy seas. Similarly you dream shows that you have found a safe haven where you can wait until the storms pass. For the time being, seek refuge in the familiar and thereby prepare yourself for the challenges ahead. Use this period of security to grow in strength. Psychological Dream Meaning: The hare can be a symbol of the trickster who effects transformation. It is both a messenger from the unconscious and the weak but cunning inferior function at the threshold between conscious and unconscious. It can represent some personal characteristic such as rashness or shallow cleverness. Psychological Dream Meaning: Freud believed that hats (and gloves) represent the female genitalia because they enclose a part of the body. A hat may also represent the role you play in life. Changing hats may denote a change of attitude or direction. You may be thinking about taking on new work responsibilities or even changing your job. The type of hat is also significant: A top hat may indicate your desire for wealth; a baseball hat may represent your desire to be more athletic or younger; and a straw hat may show that you desire to adopt a more natural, care-free attitude. Psychological Dream Meaning: A head may symbolise rationality and the intellect. It is the conscious self. There may also be puns in the dream such as ‘keeping ahead of the game’ or facing your situation’ head on’. Perhaps you are being a ‘big head?’ In addition, the dream may be a metaphor to express what is going on in your head at the moment. 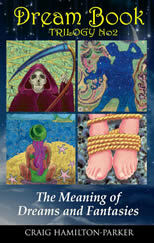 Psychological Dream Meaning: The heart represents the centre of emotional life. It is an archetypal symbol for love that has been with us since time immemorial. 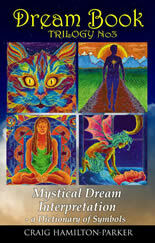 Your dream is describing your emotional life and the way that you are currently dealing with your feelings. If the heart is damaged, being operated on, or wounded, then you may be experiencing an emotional hurt of some kind. Examine the rest of the dream’s content to see if it reveals ways to repair the emotional damage that you feel. Alternatively, if the heart is pictured in a more positive setting, then your dream is saying that you feel good about your emotional life. Dare you admit that you may have fallen in love? Psychological Dream Meaning: To dream of a heavenly paradise may represent your desire to find perfect happiness. You may be trying to escape from what you perceive to be your banal and depressing life. Your dream gives you a welcome break from reality and serves to restore your feeling of optimism and hope. You desire to achieve the inner balance and wholeness that is your spiritual destiny. Psychological Dream Meaning: This dream may represent the restrictions and obstacles you believe are inhibiting your progress. The restrictions that you intend to overcome may be psychological or material. If you dream of cutting a hedge this may suggest that you have accepted an immovable obstacle and are making the best of a bad situation. Psychological Dream Meaning: You may have many inner fears and repressed guilty feelings that are forcing themselves into your awareness. Take it easy on yourself and stop punishing yourself. Once you have passed through this period of inner turmoil, you will emerge as a new and better person. Be gentle and accept yourself for the person you are. It is important that you now begin to tame the repressed contents of the unconscious and transform them into something positive. Psychological Dream Meaning: Whether it be Gilgamesh, Hercules or Superman, the hero figure represents the conscious part of ourselves that bravely embarks on a journey into the darkness of the unconscious to challenge its wild powers. In most myths and stories, the hero ventures into strange lands and fights monsters in order to take possession of a great treasure or win the hand of a beautiful maiden. These are symbols of the rewards we gain by probing the unconscious mind. By taming its primitive forces and using them for creative ends, we achieve psychological integration and wholeness. For a woman, a male heroic figure may represent the masculine side of herself. Similarly, if a man dreams of rescuing a maiden, it may show that he has discovered the feminine side of his own nature. Heroic dreams awaken us to our inner strengths and weaknesses, knowledge essential for the development of a healthy personality. Although these dreams generally occur during adolescence, they can also reappear at any age. As you would expect, males tend to have more hero dreams than women do but this is changing as women take on roles that are more assertive.